Update: We’ve released the Smart Slider 3.2 on May 24. At the end of last year we shipped our first major version for Smart Slider. We’d already known that the next version would be something bigger and bolder than we had ever built before. Today I’m happy to introduce Smart Slider 3.2 – Protostar. In short, this update brings a new Builder mode that allows you to create slides with flexible layouts and Slide Library system with Orion Theme Kit. In addition, Smart Slider 3.2 brings many features and parameter improvements, performance enhancements, and bug fixes. Jump into the Smart Slider 3.2 BETA right now! Join our beta program to help us improve Smart Slider 3.2 – Protostar. With your support we’ll be able to refine every new release before officially rolling out. Smart Slider, by its nature is a visual builder tool. That’s why we decided to focus on improving the building experience with a new Content Builder mode. Basically it’s a block-based mode where you can add rows, columns and of course layers to the slide. These elements are positioned relatively to the slide itself and each other. Content Builder Mode in action with columns and button layers. The editing is a bit different from the old absolute way but you can switch between the modes on the toolbar anytime. Moreover, it’s a hybrid system so you can determine the position method of every element if you want. With the Content Builder mode you will be able to create slides with dynamic height based on your content. By the way you don’t have to worry about the responsive settings, the new mode gets your back! With the Slide Library, we don’t make you start from scratch. All you have to do is to choose the slide you like from a huge collection. You don’t have to care about additional settings – we have already done it for you. Just focus on your content! You can create a beautiful slider, block or page up and running in no time. The entire experience is fluid, fast and fun to use. 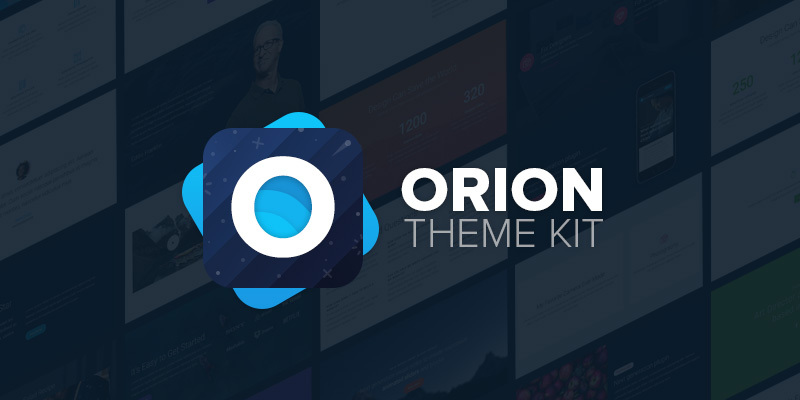 The Orion Theme Kit is our first kit for Slide Library. Currently 2 skins and 5 categories are available with more than 100 slides, but soon we’ll extend it with more categories. It’s a carefully crafted fresh design kit with gorgeous typography and harmonizing colors. Orion Theme Kit for Smart Slider 3.2. As web design evolves, so do the tools that we use to create it. With the Orion Kit we want to give you all the tools you need to build amazing and creative slides in minutes. 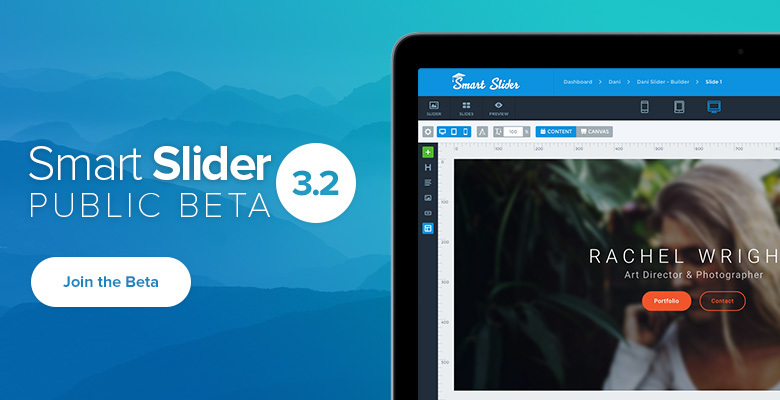 Get started today and jump into the Smart Slider 3.2 BETA right now! To apply for the beta program just join our Facebook group for more details. Today, I hope to shed some light on the new features. Please don’t hesitate to reach out with your feedback via email, Facebook group or the comments below! Let’s continue to make Smart Slider better together!